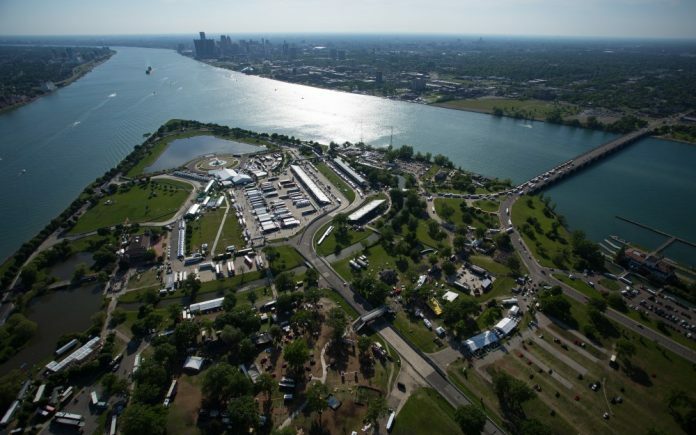 The Detroit Grand Prix and the Michigan Department of Natural Resources (MDNR) today announced they have reached an agreement for the annual motorsports festival to continue on Belle Isle for at least three more years. Under the terms of the agreement, the Grand Prix will return to its home on Belle Isle for three more years beginning in 2019, with an option for extending the agreement two additional years through 2023. The previous agreement to host the Detroit Grand Prix on Belle Isle concluded with the 2018 race. The MDNR manages the operation of Belle Isle Park. Following public feedback among the MDNR and the Belle Isle Park Advisory Committee, the Grand Prix has made some key changes under the new agreement that will continue to positively impact Belle Isle Park. The event will further reduce its overall build out and post-event take down time on the island to just 60 days in 2019, and 59 days in 2020 and 2021. This represents a reduction of five days from the total time spent on the island in 2018, and a 35-day reduction from 2015. The Grand Prix will also increase its annual total contribution for hosting the event on Belle Isle from to $450,000 from $200,000 for each year of the new agreement. This includes an annual $325,000 event fee and a contribution of $125,000 annually to be used by the MDNR for specific projects on Belle Isle. The Grand Prix will also continue to host the Grand Prixmiere fundraising event on Friday night of the event weekend over the course of the new agreement. The Grand Prixmiere has raised more than $4 million for the Belle Isle Conservancy over the last five years, with the funds dedicated to improvements on the island. “We are excited that the Detroit Grand Prix will continue at Belle Isle for the next several years and we want to thank the State of Michigan for working with us on this new agreement, as well as our partners with City of Detroit and the Belle Isle Conservancy,” says Bud Denker, chairman of the Grand Prix. “This event means so much to Detroit, to Windsor, and our entire community. We are proud to showcase the beauty of Belle Isle around the world every year and to make such a positive impact on the local economy with over $50 million in total spending generated annually as a result of the Grand Prix. With the new agreement in place, event officials confirmed the Chevrolet Detroit Grand Prix presented by Lear will return May 31-June 2, 2019 on Belle Isle, with its customary date the weekend following Memorial Day to start the summer season in the Motor City. More details about the race, including when tickets will go on sale for the 2019 event. The Chevrolet Detroit Grand Prix presented by Lear is a 501(c)3 organization and a subsidiary of the Downtown Detroit Partnership. The 2018 race weekend included the Chevrolet Dual in Detroit featuring the cars of the Verizon IndyCar Series, the Chevrolet Sports Car Classic with the exotic sports cars of the IMSA WeatherTech SportsCar Championship, and the high-flying trucks of the SPEED Energy Stadium SUPER Trucks and the Trans Am Series presented by Pirelli.